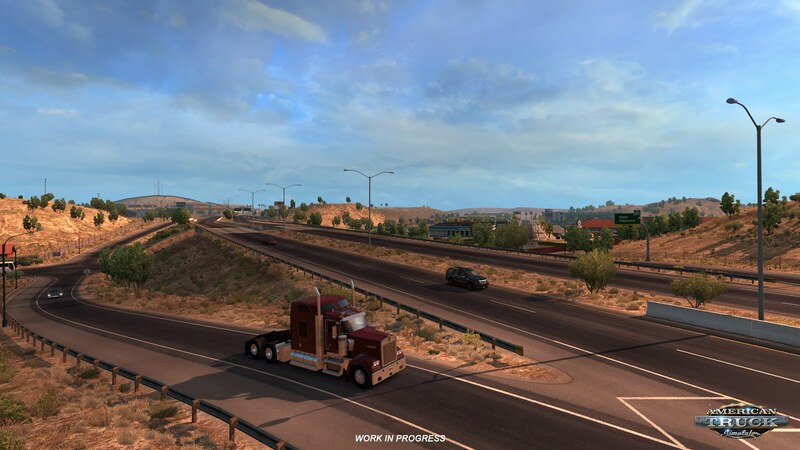 Arizona is not just more of the same. 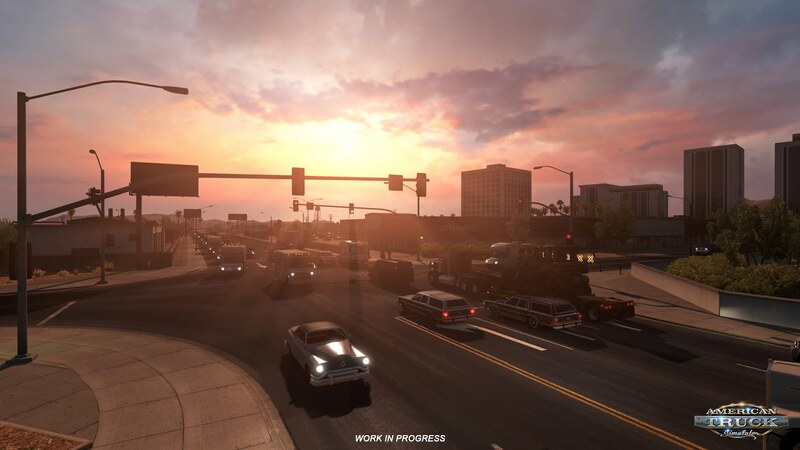 Our work on California and Nevada started well over two years ago, and even though we kept polishing the game all through the development cycle, the map design process and the roads were largely based on our older generation of tools and prefabs. 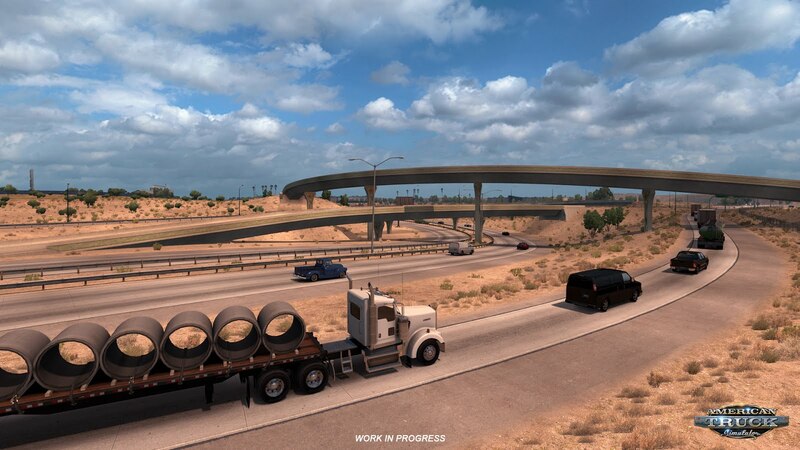 Meanwhile, our tool-chain has matured considerably with the ETS2 team's work on Scandinavia and Vive la France, and for Arizona, the ATS team is using the power of the new modular system to put the road network together. Things look sharper with higher resolution textures and better continuity of segments. But more importantly, rather than having to do with the limitations of huge monolithic prefabricates in places of intersections, the modular system is bringing way more flexibility. 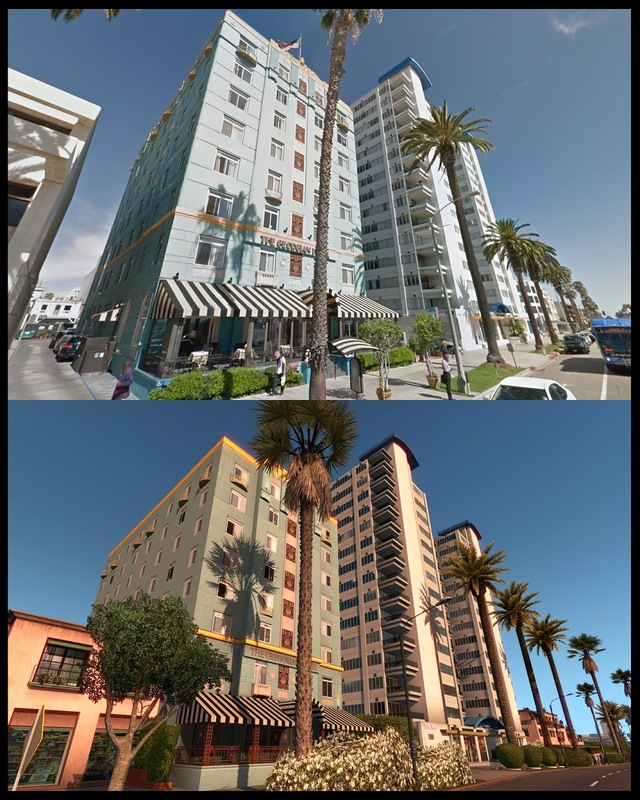 We can get the intersections to look closer to their real-world inspirations at particular locations. 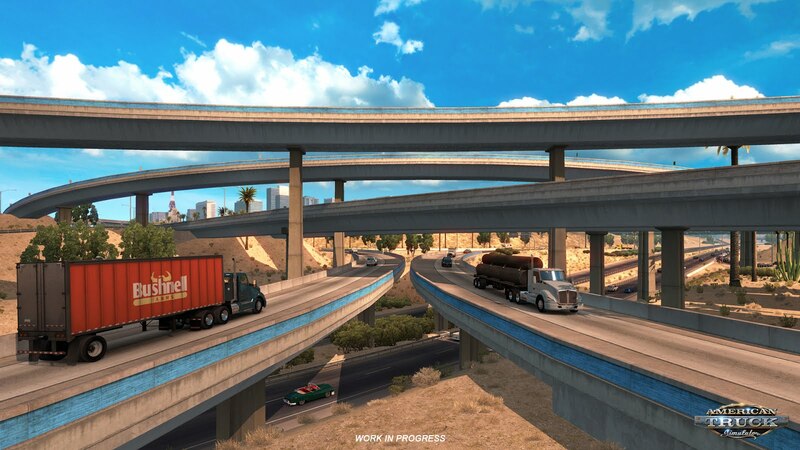 There is a greater variety of shoulders and side-walks, we can mix in elements like unique authentic pillar types and matching bridge segments for given interchanges. 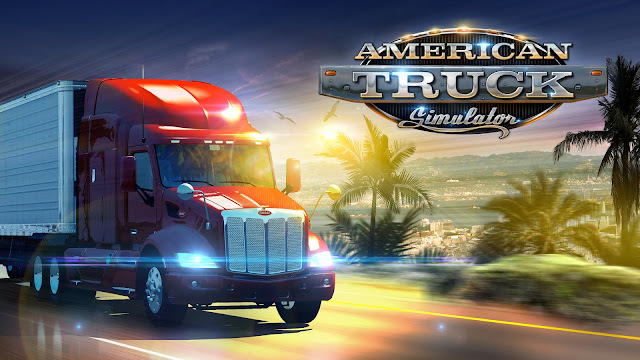 In all our truck games ever since the first 18 Wheels of Steel games all the way to current American Truck Simulator maps, we have always been struggling hard with the limited space in our scaled-down version of reality. There never seems to be enough space to squeeze in all the right types of roads and the right types of intersections. 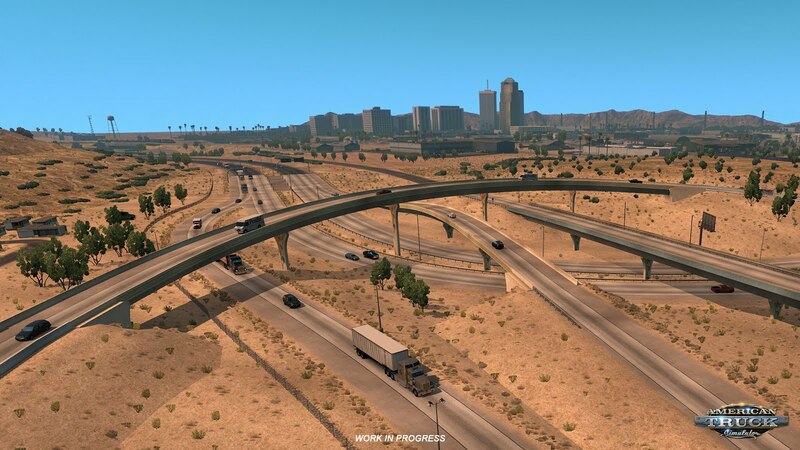 For Arizona, we tried hard to make the combination of road types clearly separated, with country roads and city roads crossing and joining the freeways and interstates with appropriate types of intersections. It has a nice side-effect too, the speed limits can now be harmonized and more logical, which contributes to a significantly smoother ride. 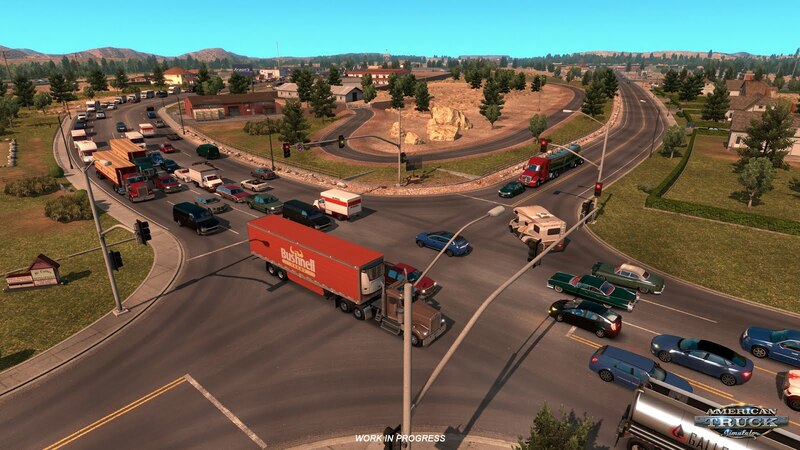 An extensive system of horizontal marking makes the roads and intersections look more authentic. 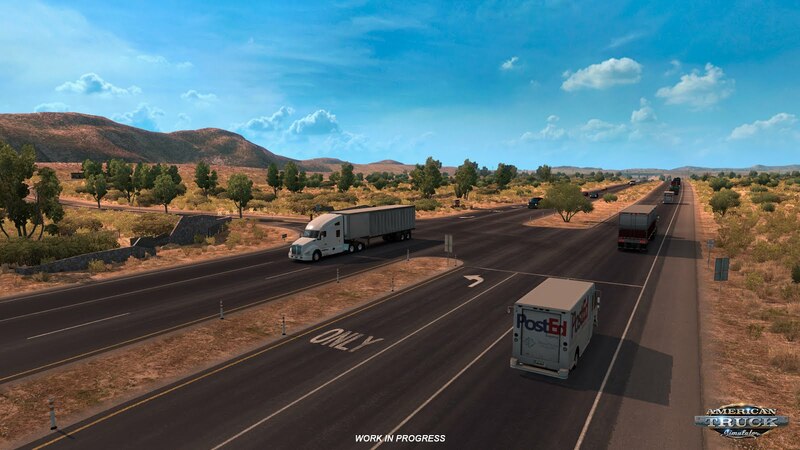 We have also improved the coverage of warning and information markings for Arizona.